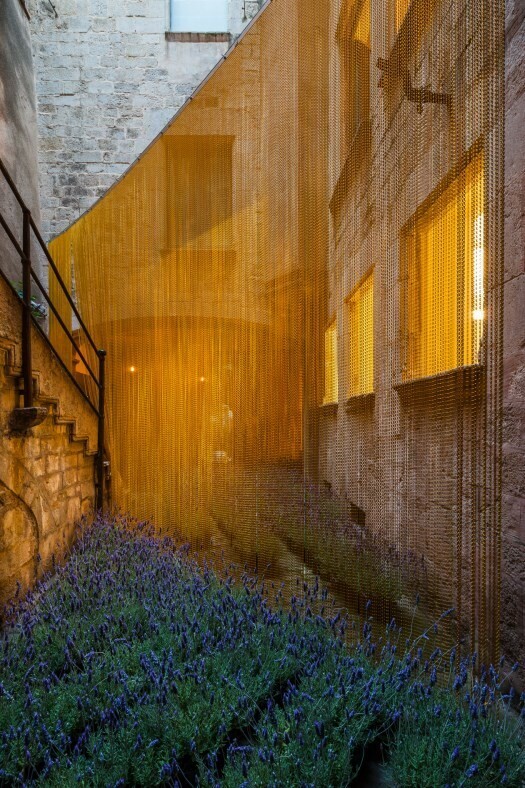 Every year, in the month of May, Girona presents Temps de Flors, an exhibition of flowers, monuments, patios and gardens which involves the citizenship and the social fabric of the Catalan city. 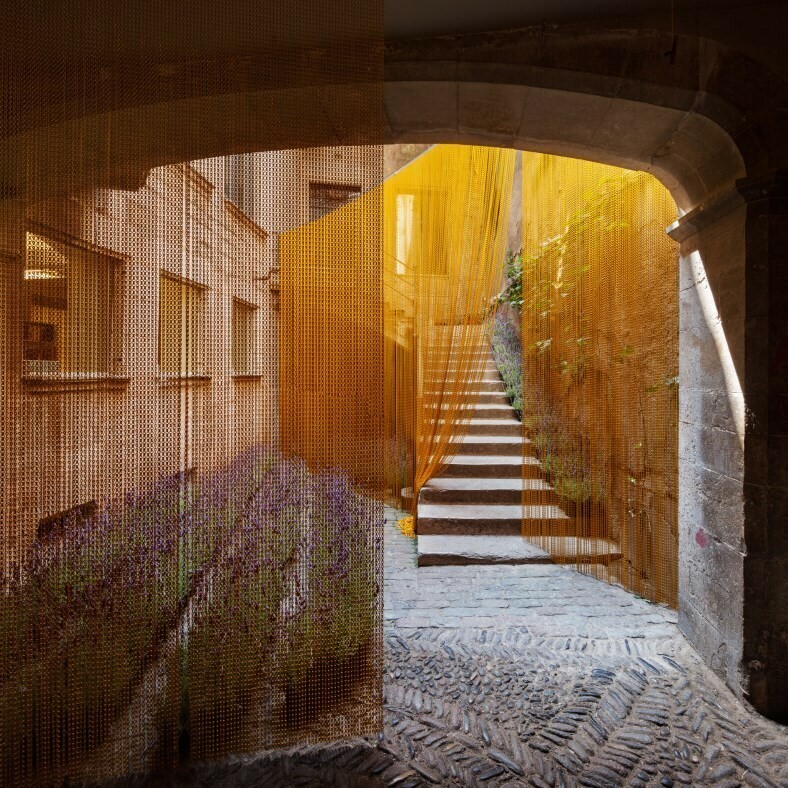 In 2013, Kriskadecor collaborated with Carmen Torres González and Pau Sarquella Fàbregas in the decoration of the Casa Sambola, which is part of the inventory of the Architectural Heritage of Catalonia. The different space dividers in yellow, in addition to guide the visitors, give life to a space dominated by the austere brown and grey tones of the stone of the patio. 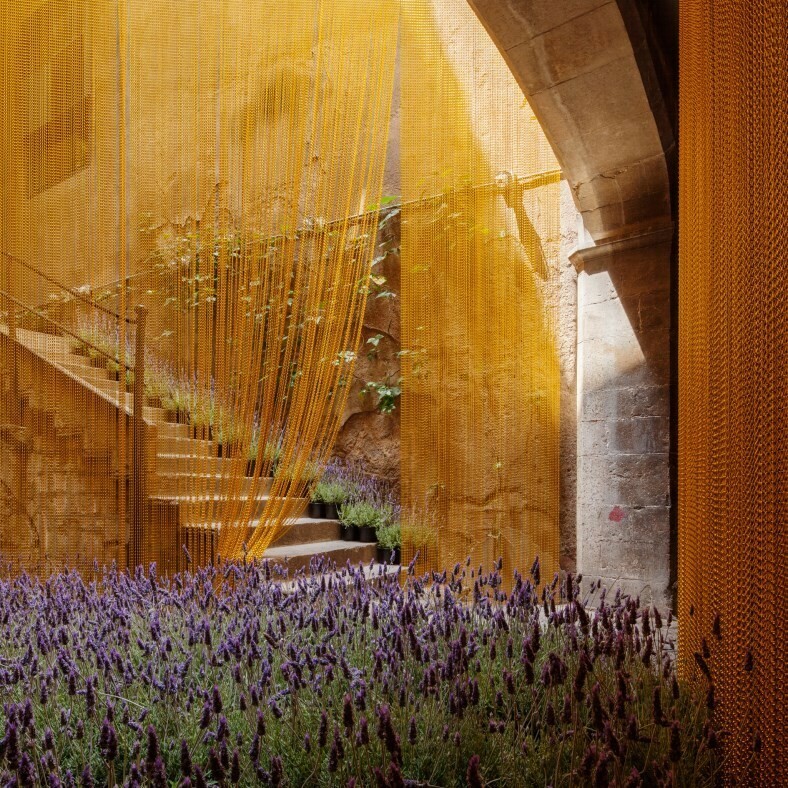 In addition, they contrast with the violet colour of the lavenders that populate the patio of this building.